To determine genetic variation on salmon populations, students learn molecular techniques for DNA extraction, polymerase chain reaction (PCR) and other protocols. Participating classes enter results in a web database where others can view and analyze data. Another project uses PCR analysis to distinguish native and non-native mussel species, building a baseline for tracking the spread of exotics in Puget Sound. 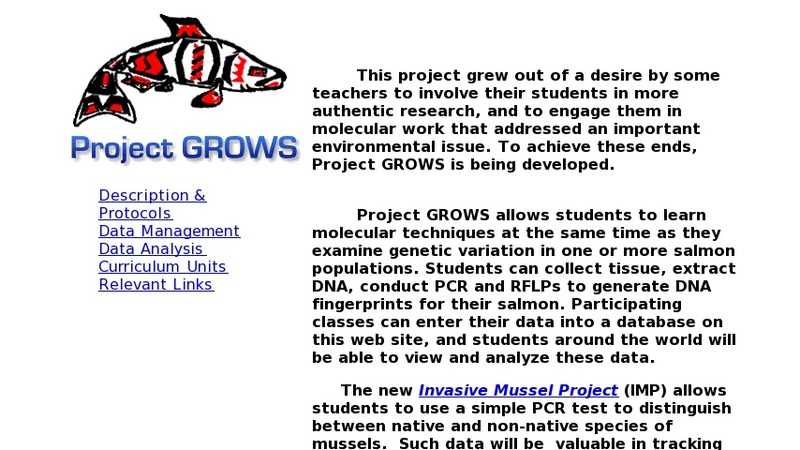 Curriculum includes PowerPoint presentation on the GROWS project, extensive directions for laboratory and statistical techniques.